Eula Johnson kept her nose so deep in her journals she didn’t know how splendidly the Detroit riverfront had transformed until she adopted a six-week-old German shepherd that likes to take walks. 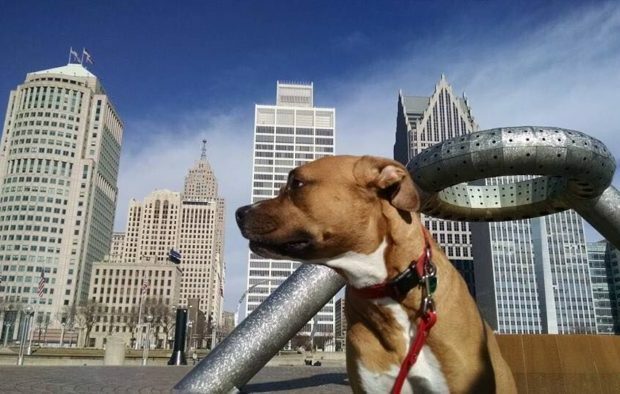 “Cassius loves to walk with other dogs, feel the air on his coat and sniff all the smells,” says Johnson, a lawyer at a Detroit law firm. She often participates in Canine to Five Detroit’s pack walks on Sunday mornings, which attract up to 50 dog owners each week. Headed by an expert walk leader, participants either head west to Joe Louis Arena or take a more ambitious walk east through the William G. Milliken State Park or along the Dequindre Cut. The Dequindre Cut follows the former rail line from Jefferson to Gratiot. Canine to Five Detroit, a company offering doggie day care, dog boarding, grooming and dog supplies, works in partnership with the Detroit Riverfront Conservancy to provide the free pack walks. Local rescue organizations, trainers and animal experts, are frequently invited to join the pack walks, offer valuable expertise and insight to pet owners. Blondy, a dog owner and dog entrepreneur, says dogs are four-legged fitness trainers for individuals and families. For Johnson, the pack walk is a way to bond with Cassius. She adopted her dog two years ago from a neighbor whose pooch had puppies. 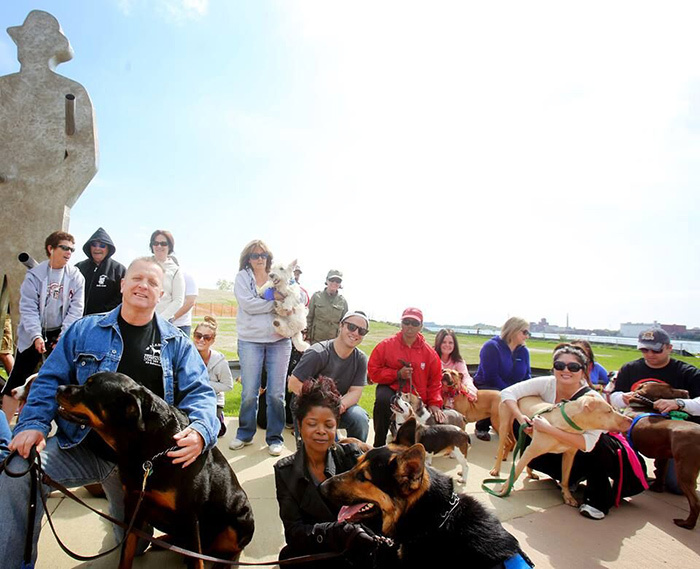 Editor’s Note: Dog owners meet up every Sunday at 10:30 a.m. at Rivard Plaza. 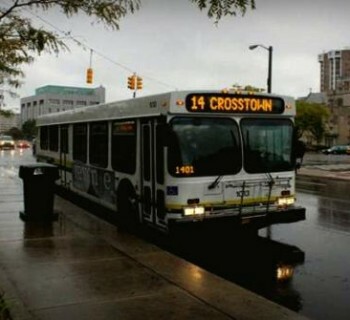 To learn more visit: caninetofivedetroit.com.